Coconut water has never tasted like this. And sports drinks called Riptide or Glacier? Come on. Funky flavor names can’t compare with all-natural Cocogo. Lemon Lime. Raspberry Passion Fruit. Grape. Our all-natural, gluten-free flavors beat boring water, outperform plain coconut water, and trample too-sweet sports drinks. 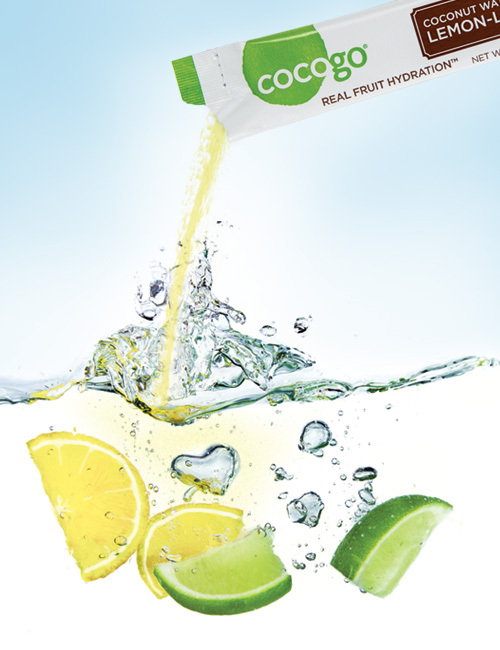 People prefer the light, natural taste of Cocogo to artificial sports drinks. Every flavor is all natural, gluten free, and totally tasty. It's a simple concept: the more you like the taste, the more you'll drink--and the more hydrated you'll be. Say bye-bye to boring water and artificial sports drinks. We fully guarantee the taste, performance and product condition of Cocogo. If it doesn’t meet expectations in any way, we will replace or refund the purchase. In a sealed package, freeze-dried fruit will stay fresh for a very long time. Cocogo is freshness guaranteed. 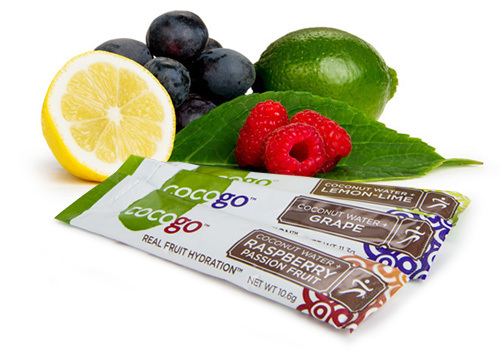 Cocogo stick packs are sized to mix with standard water bottles as well as smaller hydration belt flasks. Use a little for light taste. Pour in more for intense fruit flavor and extreme electrolyte replacement. 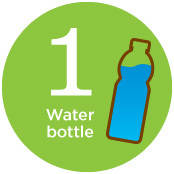 Start by grabbing your favorite water bottle. 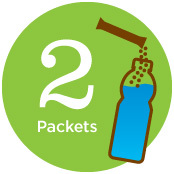 Add 2 packets to your water for a smooth fruity taste. 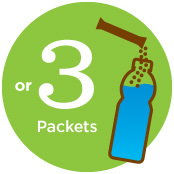 Use 3 packets for more intense flavor and electrolytes. Highly Hydrating Compared to other sports drinks, Cocogo offers the best balance of electrolytes, the essential nutrients that keep your body functioning at its best. See the side-by-side stats.